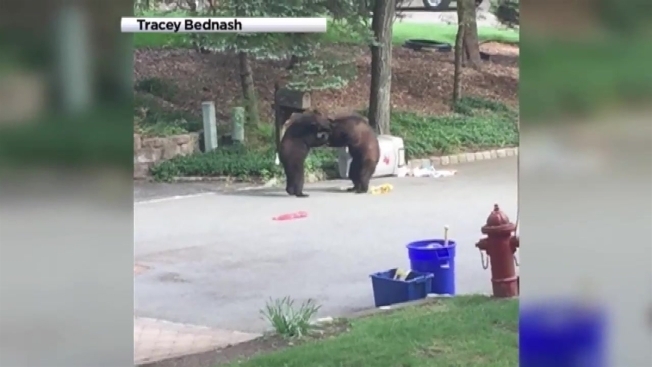 A pair of bears caught rummaging through trash in a residential New Jersey neighborhood apparently weren't prepared to share the goods with each other. Montville Township resident Tracey Bednash captured video of the two bears battling one another at a tipped garbage can on trash day. Bednash said she saw the bears in the cul-de-sac in Towaco sauntering toward her neighbor's recycling bin. "It's not uncommon for them to come around here on garbage day and ransack the cans," Bednash told NBC 4 New York in an email. "The huge mama bear was seen around the neighborhood the past week or two. 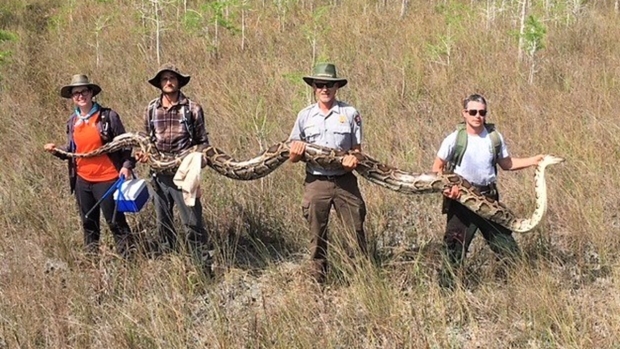 I'm sure she was lurking around." The state Division of Fish and Wildlife warns residents to never feed or approach a bear. Repeated black bear damage or nuisance behavior can be reported to the DEP at 877-927-6337.